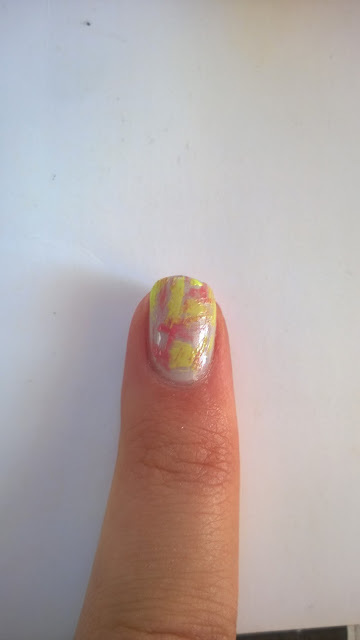 Here is my version of dry brush technique nail art. In this technique, I used four nail polishes and their brushes. You can use any different colors. 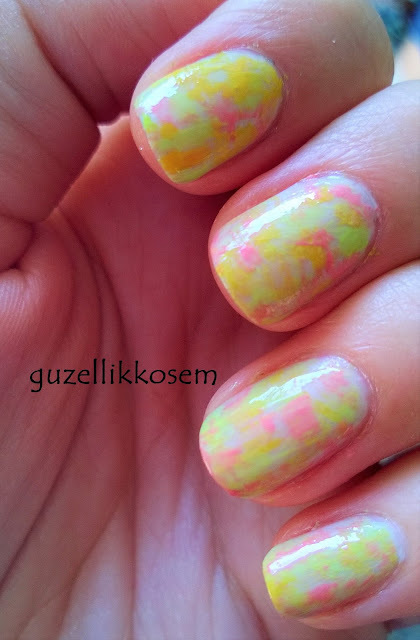 I used these summer shades. 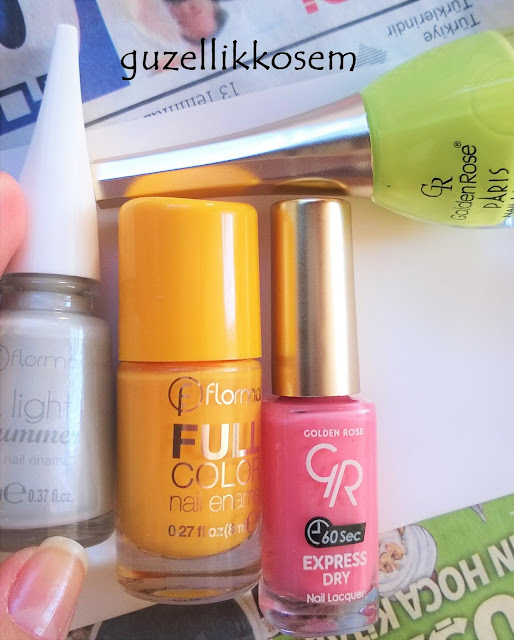 Before using colorful polishes, I used Flormar Light Summer LS03 as a base nail polish. 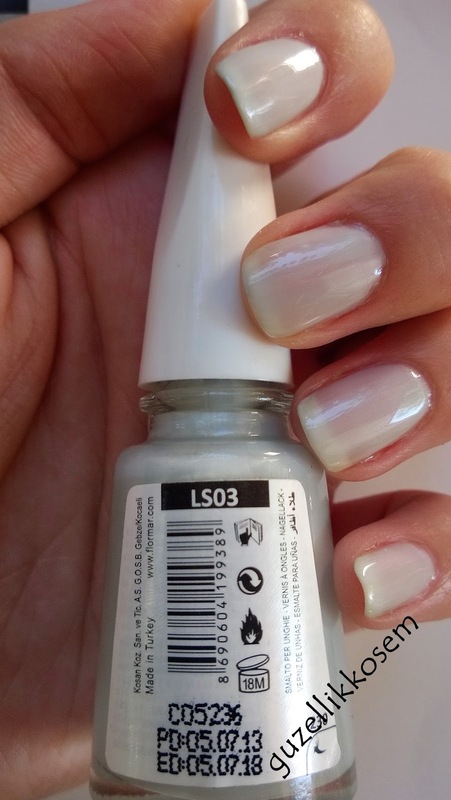 Take the extra nail polish from the brush as shown on the photo. 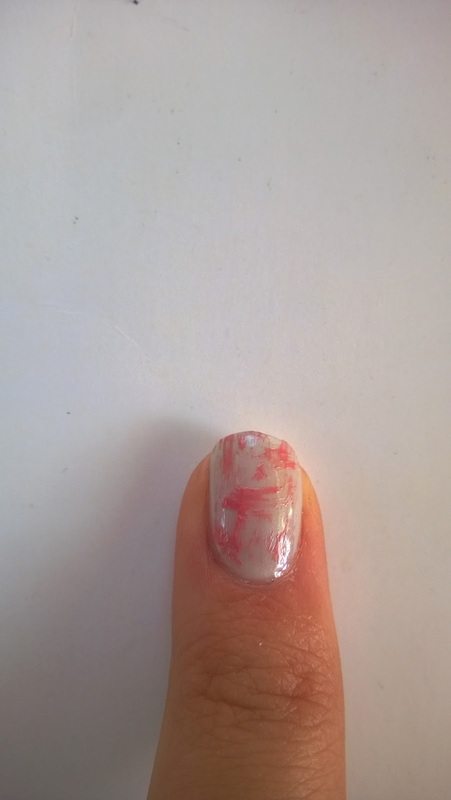 But you need to take extra nail polish on a sheet of paper. Then I applied this Golden Rose Express Dry 29 on my nail randomly. 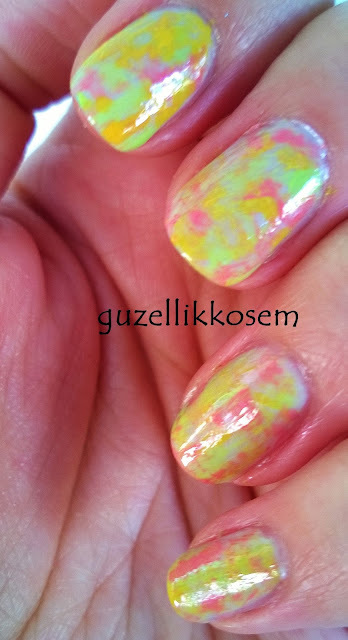 Then, I applied Golden Rose Paris Collection 259 randomly, too. 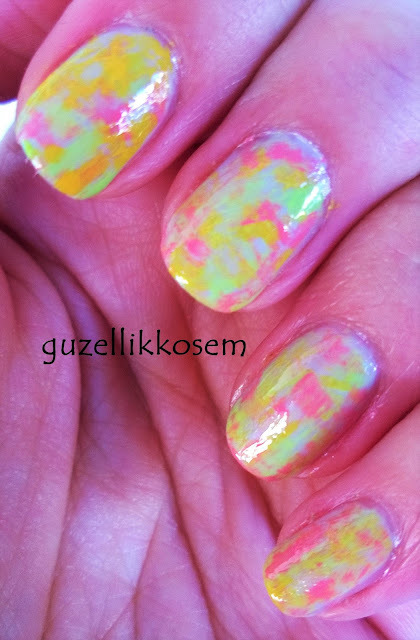 Finally, I filled all the empty blanks with Flormar Full Color Lemoncello. Here are all the steps in one photo. You can use 2 or more colors. 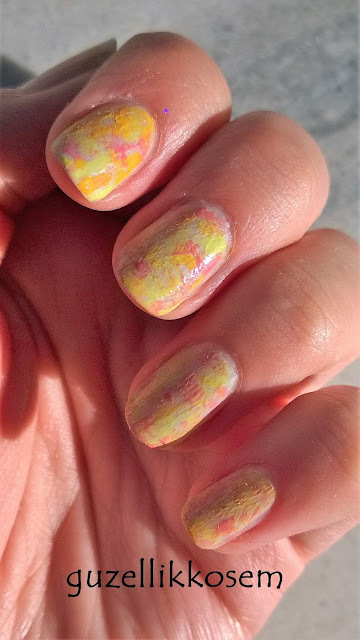 Dry Brush Technique is open to create very different patterns. 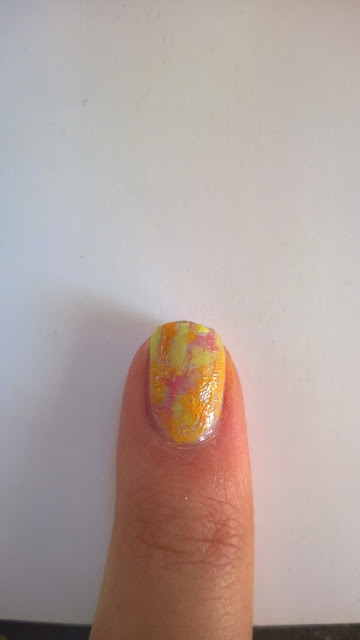 I will apply this technique with different colors and patterns. Please, comment below and share your opinions with me.